I find it funny now that people exalts the trend of tribal/traditional pattern, yet still so few Indonesians appreciate our very own traditional pattern of Batik. In spirit of Batik day last October 2nd, I pulled out every Batik clothing that I have and scored some considerably stylish looks. 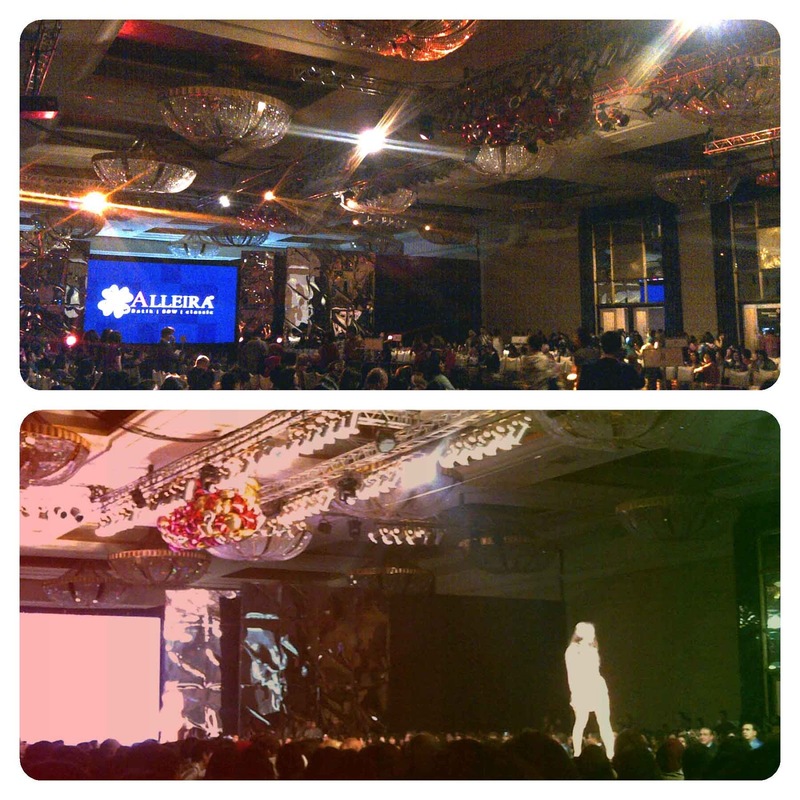 Just the perfect timing for Alleira Batik to strengthen its take in Batik fashion with a superb fashion show at Hotel Mulia, presenting reformed and modernized Batik fashion for men, women, and kids. Salute to every Indonesians - and even non Indonesians - who appreciate the beauty of Batik. The outfit is clearly not what I wore to the fashion show, but something I would really like to share with my readers. After all trends of bright colors and creative prints, it just feels right for childlike looks to make a comeback. I love this denim overall dress Red Cherry sent over to me last week, perfect essential for a casual day look! regarding batik, i think it's one of the most beautiful types of fabric ever invented! pretty and chic! super love this look! This pinafore is so adorable on you Wynne! U look amazing! i love your style! I love the shoes and the clutch is spectacular!! So chic! Love your shoes! love the envelope clutch! :) anyhoo, thanks for visiting my blog! followed you now, hope you'll follow back :) thankies! Cute outfit, the blue green colour of the top looks amazing of you. thanks for your comment, it's a pleasure for me! I like your outfit, it's very cute! really great photos!! you are soo cute! adorable look! love the clutch! cute clutch! it's really suits with you. mind to follow for follow? The dress is absolute gorgeouness! Simple and elegant and chic! Love it. The envelope clutch is a must have!!! you look so pretty i will happy if you see my blog and follow each other? omg, what a lovely dress! totally love this look, one of my favourites today! :) would you like to follow each other? simple and natural i like it very much! i love the shoes and the beautiful dress!